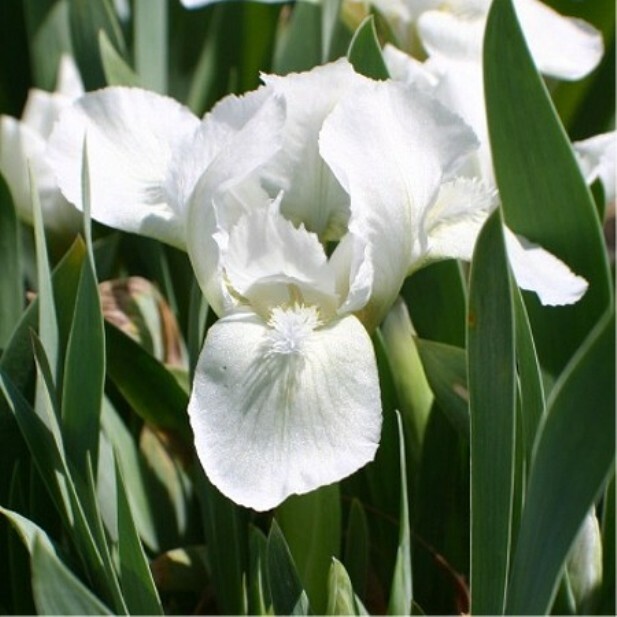 'Bright White' (Walter Welch, R. 1957). Seedling #N-535. MDB, height 7" (18 cm). Early bloom. Pure white self; white beards. 'Green Spot' X seedling #J-537: ('Bouquet' x seedling #G-522: ('Fiancée' x 'Fairy')). Welch 1958. ASM 1958; BR 1959; Honorable Mention 1959.
jpg brightwhite02.jpg manage 32 K 15 Nov 2018 - 13:48 Main.TLaurin Photo by Iriszkert Szasz-Hungary.